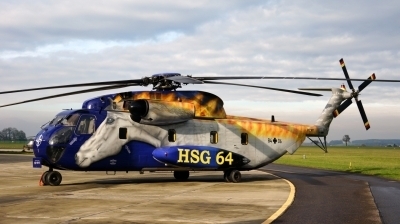 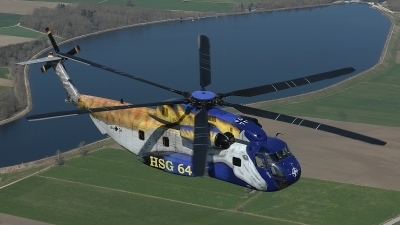 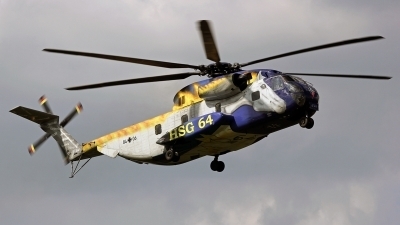 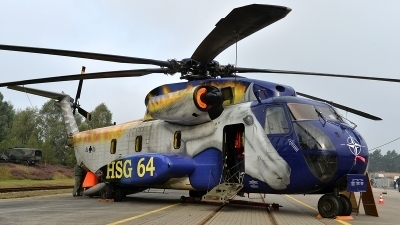 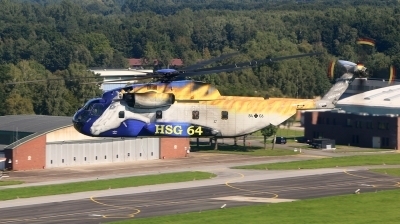 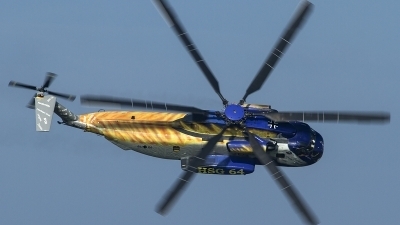 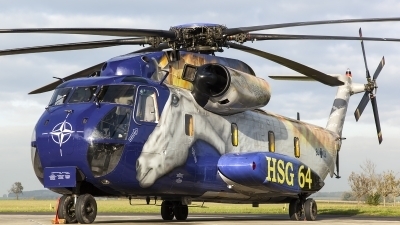 This CH-53G was used for Parachute jumps above Eindhoven Air Base. 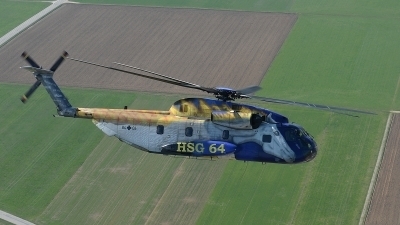 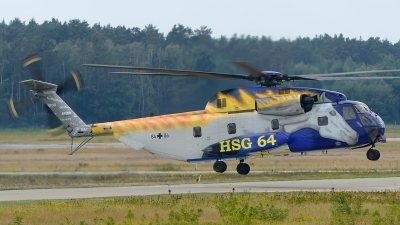 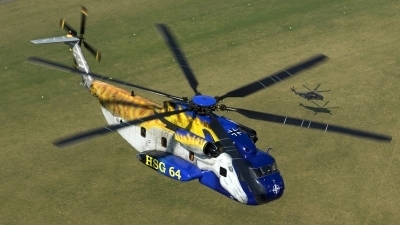 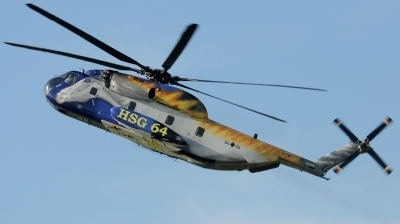 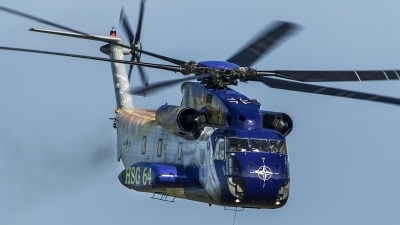 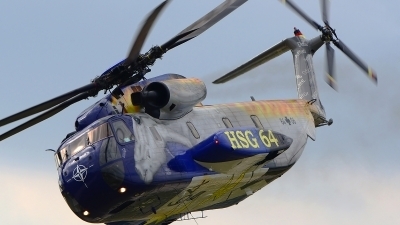 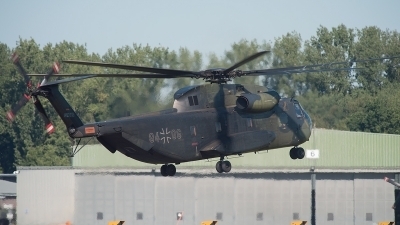 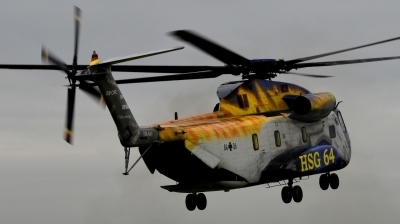 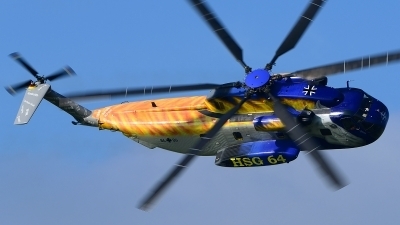 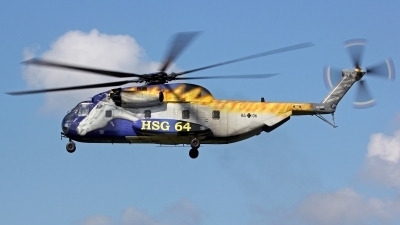 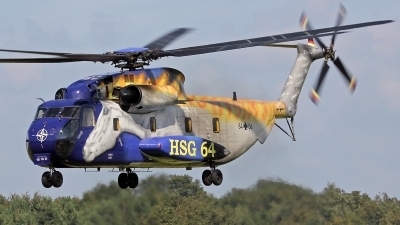 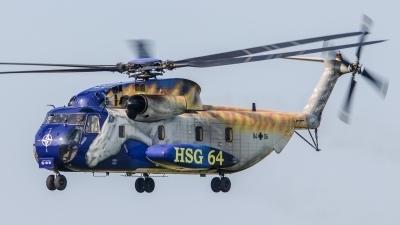 The special painted CH-53G is arriving at Erding for the Fly-Out family day. 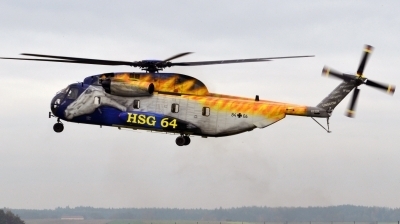 The special painted CH-53G is leaving Erding AB after the Fly-Out family day. 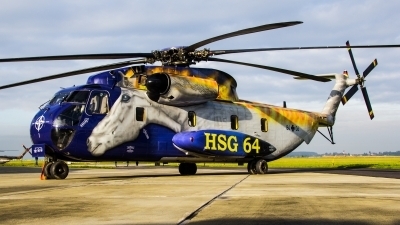 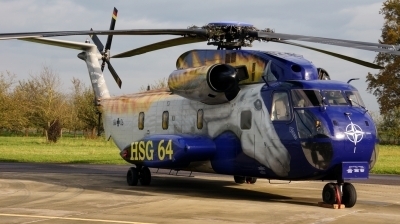 This scheme was applied to this helicopter at Erding. 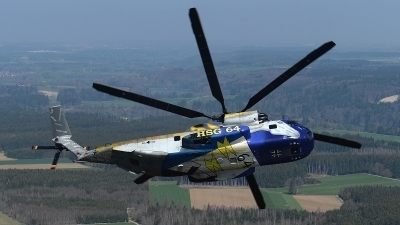 Beautiful action of the 'firehorse' to fly out in Erding. 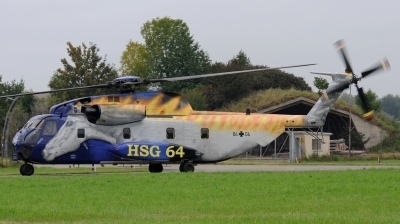 The 'firehorse' hover at Holzdorf airbase.